Grease a baking sheet, and set aside. In a glass bowl, combine peanuts, sugar, corn syrup, and salt. 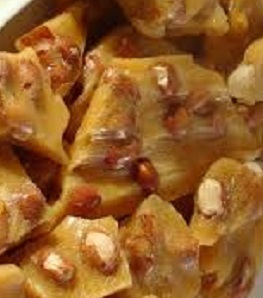 Cook in microwave for 6 to 7 minutes on High ; mixture should be bubbly and peanuts browned. Stir in butter and vanilla; cook 2 to 3 minutes longer.